We celebrated Father’s Day yesterday with a couple of friends and family. It was such a steady Sunday for Mr. JG as he was surrounded by people who matter to him most. Fathers are known to be strict and serious most of the time and are often breadwinners–focused on providing for the family. A father clocks in hours for his work to ensure that his family will always have food on the table, clothes on their back, and a safe roof over their heads. It is in a father’s everyday effort to provide for his loved ones that his love can be felt – and it is something that should never be taken for granted. This is why I am forever grateful that Mr. JG is my co-parent and the father of my children. Despite being busy with work, he’s a dad that my kids can count on. He makes sure to make time for them whenever he can and he does little things that add up, making the dad that he is today. So every year, I honor him and all the fathers, daddys, papas, tatays that I know. Sometimes a simple greeting or a handmade note takes the cake. 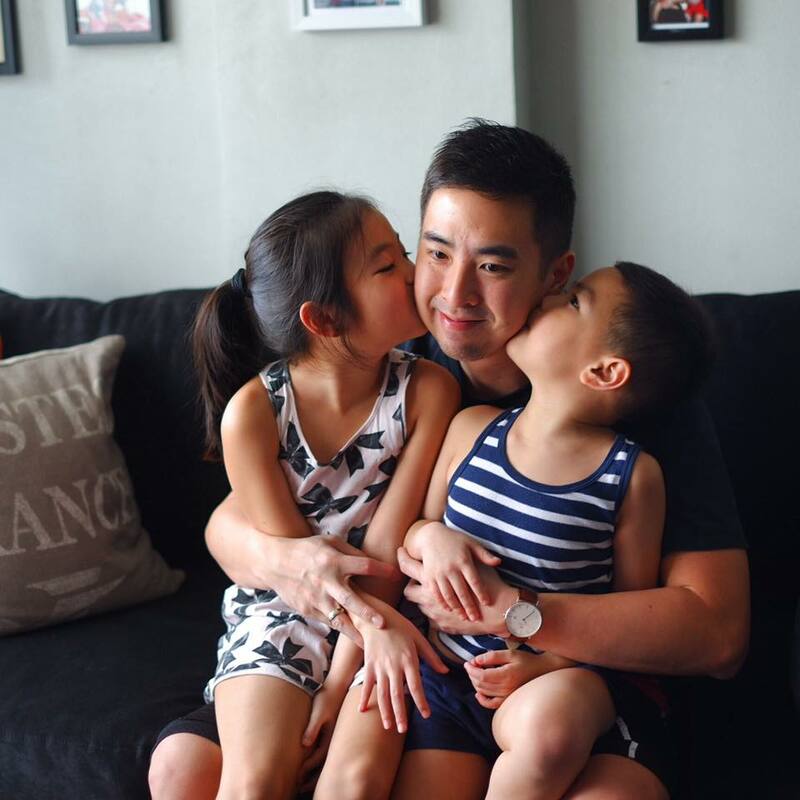 We know dads are most of the time serious, stern and tough but it’s good to know that once a year, they bring out their sensitive side too, especially when they talk about their own families. Sharing with you all the Father’s Day tribute of Firefly LED to the light and pillar of the family, the hardworking fathers who make sure that their family’s needs are always well taken care of. Three fathers from different walks of life talk about how much they love their families and why they don’t mind making sacrifices if it means seeing their children grow up well, happy, and most importantly, that their families remain intact no matter how busy life gets, which is in line with the brand’s “Kasama Mo” campaign. “Ako ang nag-aalaga sa kanila, lahat ng pangangailangan nila – pag-aaral, pagkain, baon nila araw- araw, kung ano yung kailangan, yun ang ginagampanan,” says Harold, a 43-year-old single father and architect of his responsibility to his three children. When asked what kind of father he is to his children, Rowel, a 47-year-old electrician has this to say, “Mapagmahal na ama. Hanggang kaya ko magtrabaho, gagawin ko. Sila lang ang kayamanan ko sa buhay.” Aside from being an electrician, Rowel has also been doing various odd jobs to make ends meet. When asked what it is that they continue to pray for their family, a teary-eyed Mario says that he doesn’t his biggest hope is that his family will remain intact, he doesn’t want a broken family. It’s the same thing with Rowel who shares that he doesn’t want his children to suffer any hardships in life, adding how, one of his daughters is currently going through some problems with her partner who took away their grandchild. Upon sharing this, Rowel is clearly heartbroken by his daughter’s current ordeal. As the three fathers were talking about the joys and sacrifices of being a father, unbeknownst to them, their families have been listening to their interviews, shedding tears of appreciation for their beloved fathers. See how the families of Harold, Rowel, and Mario surprised them by watching the video. Get ready to cry bucket of tears though! What an emotional experience it is to hear words of affirmation and appreciation from the three father’s respective families. Hearing their stories and how they all just want the best for their families, you know how much love and contentment there is in their lives. How a father’s goal in life is to provide and to give the best for his family even if it means working harder. For these fathers, all the sacrifices they make for their families are worth it.